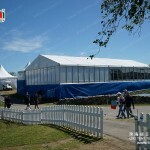 Party tents,marquees,gazebos,canopies,pagodas,all names for outdoor structures but what are the comparative differences and what do I need? 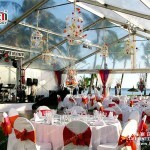 In the US the word marquee is not often used to describe a temporary outdoor structure,everything from scout tents to huge two-story temporary buildings are described as one thing -if it is being used for a party then it is a party tent. 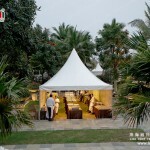 party tent is used for structures at the lower end of the market,often made from PE fabric and designed with the domestic market in mind. 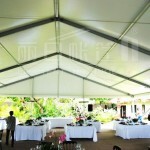 marquee is used for the higher end structures suitable for weddings and larger functions. 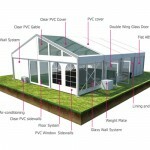 Gazebos and canopies are universally smaller often folding structures designed primarily at the domestic consumer. These are designed with convenience prioritised over durability,they can be erected in a matter of seconds and due to the clever folding design are put away with the roof in place.